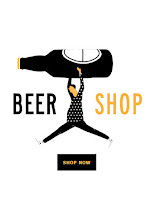 Keep6 Imports will now provide Ontario consumers a new beer buying experience - an online beer shop. This will allow the opportunity to access beers that are not regularly available through LCBO retail outlets and the Beer Store. The starting lineup will include offerings from Dieu Du Ciel! (Montreal, Quebec), Le Trou du Diable (Shawinigan, Quebec), Les Trois Mosquestaires (Brossard, Quebec), and Stillwater (Brooklyn, New York ). In the upcoming months, Their goal is to offer beers from all breweries in our portfolio and release seasonal and/or specialty brews exclusively through this online shop. For a full product listings of available click here. Their products can also be found at bars and restaurants here.